Evo & Grace: The WanderLusts: Ang Larawan: Perfect casting, culturally interpreted and beautifully orchestrated. Ang Larawan: Perfect casting, culturally interpreted and beautifully orchestrated. Richard Kuipers of Variety.com quoted, "The Portrait" proves a handsomely produced big screen adaptation of Nick Joaquin's revered play." While Lawrence Harmon, former Urban Affairs and Political Columnist of Boston Globe wrote," Portrait provides a deep history lesson set off by a soaring score and crisp libretto. This is no light operetta. Instead, it is a searing musical journey into complex lives and emotions of fading Filipino members of the upper class." Manny, The Movie Guy, The Filipino Channel said. "Ang Larawan, has beautiful cinematography and intricate storytelling that swells up to an emotional crescendo...It's a thoughtful and powerful elegy on the death of Old Manila." The painstaking years of pre-production, production and post-production for executive producers Celeste, Rachel and Girlie ended with a big, bang as the very first full-length musical film in Filipino was included in the annual Metro Manila Film Festival. ANG LARAWAN, a musical film based from an original play in three-act, A Portrait Of The Artist As Filipino, by National Artist for Literature Nick Joaquin, translated by National Artist for Theater and Literature Rolando Tinio and directed by Loy Arcenas (Niño and REquime) is an official entry to the MMFF of Musicat, Inc. Shot in the beautiful wall of Intramuros and in an ancestral house in Taal, it tells the story of Candida and Paula set against the backdrop of World War II, struggling for their lives along with Don Lorenzo Marasigan, their ailing artist father amidst war and public scrutiny. Marasigan sisters experienced hardships when her father abruptly stopped painting and later got ill. It centers on the last portrait of Don Lorenzo whether it will be sold to maintain the house. Larawan is an ode to the passing of the world of truth and beauty and a celebration of the tenacity of the spirit amidst the rise of materialism and consumerism. 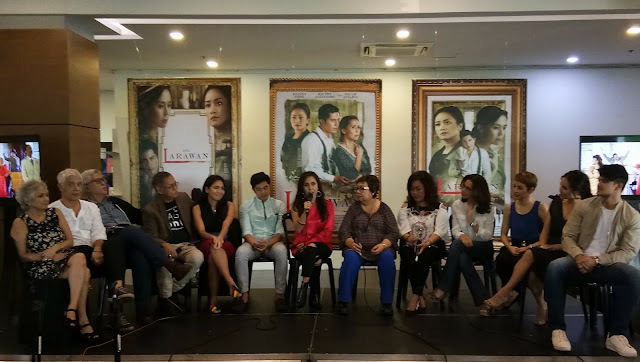 ANG LARAWAN opens in theater nationwide on Christmas day. The film was a Finalist, Asian Future Prize Award at the 30th Tokyo International Film Festival and the Opening Film, at the 2017 Cinematografo International Film Festival in San Francisco prelude to its official local screening. Already graded "A" by all eleven members of Cinema Evaluation Board (CEB), the film received unanimous highest regard. A Spanish colonial house, a street and the century old San Agustin Church became the perfect location and a brilliant idea as the twisted story of Marasigan sisters unfolded. Loy Arcenas being a New York theater set designer and director, meticulously utilized, used and maximized the limited location for this period storytelling. Every part in the house tells a story, depicts a subject and symbolizes a character. Carefully and beautifully timed and angled shots were visually and perfectly edited and captured. The manner on how Arcenas executed those shots were very Les Miserables in nature. Joanna Ampil deserved an acting award as Candida. Her exhausting and tiring interpretation in film whether verbal or nonverbal, heavenly touching, moving, haunting and convincing, truly world class. Since joining in the 1998 restaging, Rachel Alejandro has grown up maturely in terms of acting on both theater and film. Reprising as Paula was specifically tailored for her, she owned it singing and acting per se. A perfect choice. After so much anticipation as Tony Javier, hunk Paulo Avelino was a revelation. Not with the singing though, but in terms of acting. Perfectly as a man with hidden motives and unclear ambitions. 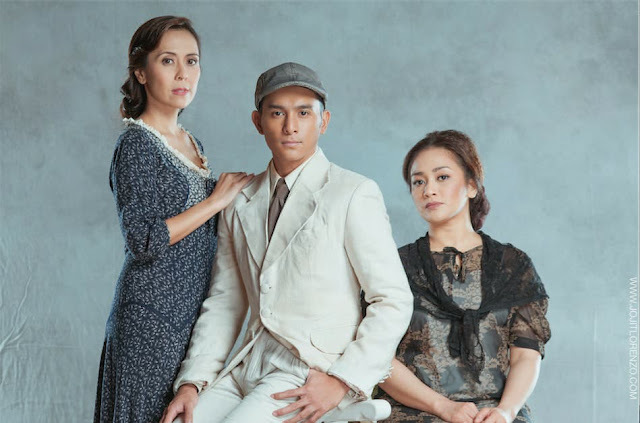 Ang Larawan housed stellar and acclaimed Filipino actors from both stage and screen. It is the first full-length feature film of West End star international recording artist Joanna Ampil as Candida. Rachel Alejandro was too young when she first played Paula in the stage musical. Twenty years later, she was the right age to portray Paula in the screen adaptation. Heartthrob Paulo Avelino portrayed Tony Javier, a boarder whom Candida and Paula accepted to have a source of income. Theater actor Sandino Martin as a friend reporter Bitoy Camacho examined the painting, the role originated by Roeder Camañag. Cris Villonco who played Patsy in the 1998 musical appeared as Susan along with Aicelle Santos as Violet, both vaudeville artists who desiredly fantasized Tony Javier. Stage stalwarts Nonie Buencamino and Menchu Launchengco-Yulo are the Marasigan siblings, Manolo and Pepang. 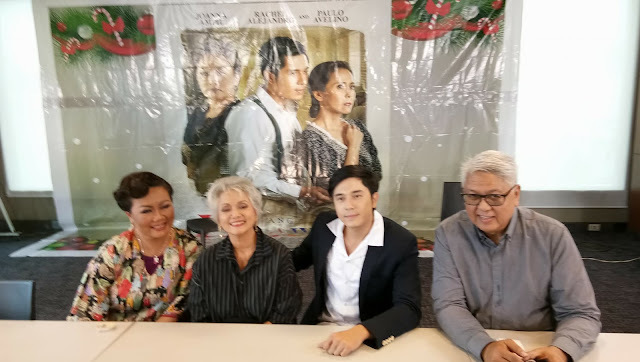 Robert Arevalo as Senator Perico, wholeheartedly convinced the Marasigan sisters to stay in the house and take care their sick artist father was married to Doña Loleng portrayed by Celeste Legaspi whom Carla Martinez originated from the stage. Producer and actress Celeste Legaspi originated the role of Candida and reprised it in 1998 restaging along with Ricky Davao, the original Tony Javier. Cara Manglapus as Patsy, a young jazz singer and daughter of Don Perico and Doña Loleng. Zsa Zsa Padilla who originated the role of Paula from the musical stage version portrayed Elsa Montes whom the beautiful actress Dawn Zulueta played onstage, a Filipina socialite from New York and Rayver Cruz as Charlie Dacanay, being both friends of Doña Loleng. The participation of Ogie Alcasid as policeman Tinio was a great shift and contradicting from his usual sidekick and comedic role made it hilariously beautiful along with Jojit Lorenzo as policeman Bernal. The rousing finale scene became a gathering of veteraned and seasoned actors from television, film and stage. 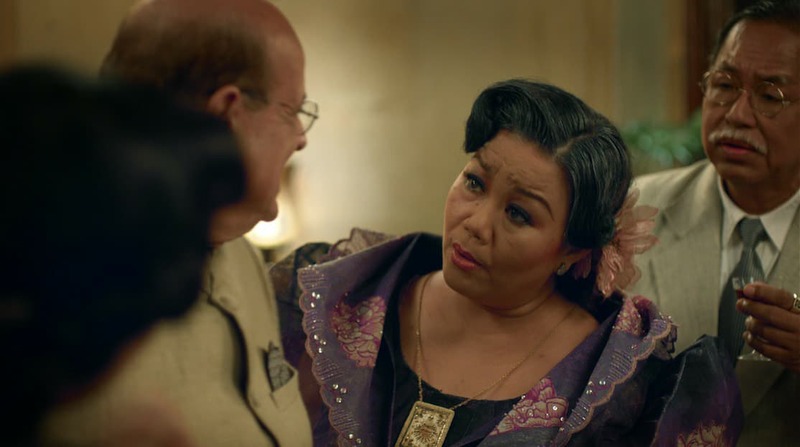 Actress and film producer Armida Siguion-Reyna originated the role of Doña Upeng, but in the film Dulce made an impressive interpretation. Nanette Inventor as Doña Irene, Jaime Fabregas as Don Aristeo, Bernardo Bernardo as Don Alvaro, Noel Trinidad as Don Miguel and Leo Rialp as Don Lorenzo Marasigan. Other notable actors and actresses who made a cameo appearance were Mikee Cojuangco Jaworski who played Patsy in the stage version, Ricky Davao, Toma Cayabyab, Martin del Rosario, Ryan Cayabyab and Emmy Cayabyab. Text and event photos by Gilbert Kim Sancha. It is a good show for sure but there are even betters one out there. I will give this one a watch once I am done watching the current ones including Game of Thrones and Breaking Bad.